Welcome to Global Water Technologies, Inc. Using innovative technologies, the company seeks to create value by developing enhanced treatment and better water efficiency. (OTC Pink: GWTR) new opportunities in water technology provide a way to invest in the world's most precious resource. 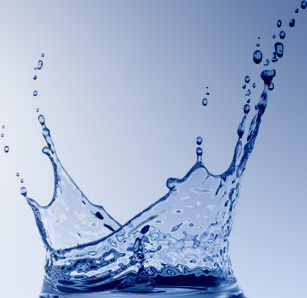 Global Water Technologies works with strategic partners to identify, develop and deliver innovative solutions. Water is becoming an increasingly more valuable resource. While there is plenty of water on the earth, there are often shortages of fresh, clean water in the places where it is most needed. And such water is often wasted or misused, resulting in expensive treatment solutions or even more costly outages... for water is vital to life and business and it has no replacement. Understanding how we can better manage water resources is an area where new technologies can play an exciting role. Unlike the computing, telecommunications and energy grids, water infrastructure has not yet benefited from many of the latest advances in technology. But that is starting to change. Global Water Technologies, Inc. (OTC Pink: GWTR) is a small, clean technology water treatment and services company providing innovative non-chemical and filtration technologies for process cooling water and other uses. The company also seeks to identify, develop and commercialize proprietary new technologies to increase water and energy efficiencies. Thank you for your interest in our business. Please explore the pages on our web site for more information about the company, its history and recent news and events. Feel free to contact us for more information and to suggest new business development opportunities. Statements relating to plans, strategies, economic performance and trends, projections of results of specific activities or investments, and other statements that are not descriptions of historical facts may be forward-looking statements within the meaning of the Private Securities Litigation Reform Act of 1995, Section 27A of the Securities Act of 1933 and Section 21E of the Securities Exchange Act of 1934. Forward-looking information is inherently subject to risks and uncertainties, and actual results could differ materially from those currently anticipated due to a number of factors, which include, but are not limited to, risk factors inherent in doing business. Forward-looking statements may be identified by terms such as "may," "will," "should," "could," "expects," "plans," "intends," "anticipates," "believes," "estimates," "predicts," "forecasts," "potential," or "continue," or similar terms or the negative of these terms. Although we believe that the expectations reflected in the forward-looking statements are reasonable, we cannot guarantee future results, levels of activity, performance or achievements. The company has no obligation to update these forward-looking statements.